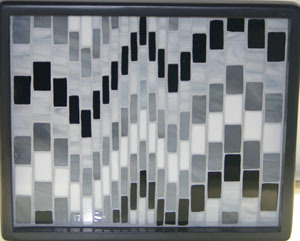 The new black lacquer tray looks terrific with a black and white Bargello pattern. It will look terrific in a kitchen with stainless steel appliances. I am conti9nuing to experiment with size of the bargello pieces to create the most interesting design.